After years of war Russia had to recover itself. An intense artistic activity emerged mainly influenced by works of Kandinsky, Malevich and Tatlin, the fresh generation explored new ways of dealing with art. 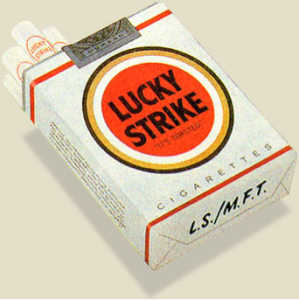 Artists searched for a way to deliberately change people’s beliefs through a well-planned strategy of persuasion. I think the secret of propaganda is more related with the psychological mass event that was happening and it’s still happening in some countries. When people get hectic and they constantly search for the truth Agitprop becomes a serious weapon for manipulating the brain by agitating common political issues and presenting them in such a way that a reaction to it will be born. This reaction to what we see, makes us perceive things differently. This political propaganda is influencing opinions and convincing people by using an emotional language of problems present day by day in society or politics. 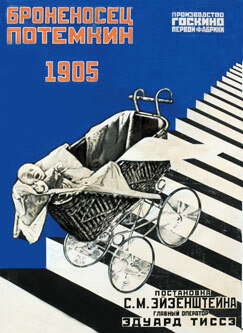 One important artist that I would like to mention in my research about agitprop is Liubov Popova. 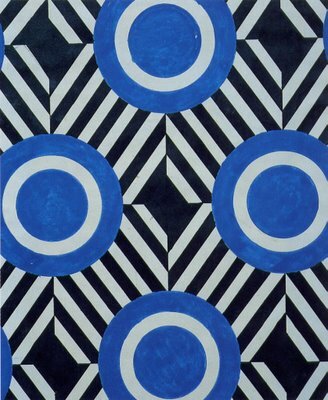 I personally don’t see Popova as an artist upset by that time limits or by this propaganda that was influencing eyes everywhere. I see her as a free spirit that developed as much as possible. She had quite a broad approach to her art. Works of Popova and Rodchenko were recently presented together in an exhibition, gathering together 350 paintings, models, posters, films, designs and other objects. Before she died she even worked in the theater industry designing sets costumes and creating textile patterns for the first state textile factory in Moscow. Political theater dynamically involves the audience and it became truly important in that historical context. 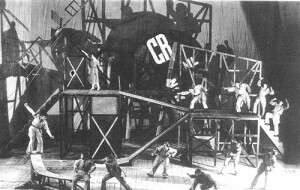 Popova’s project for Earth in Turmoil 1922-3, a theatrical collaboration with Meirkhol’d is quite impressive, with a montage of political quotations, party slogans and film excerpts providing an ideological commentary on the action. 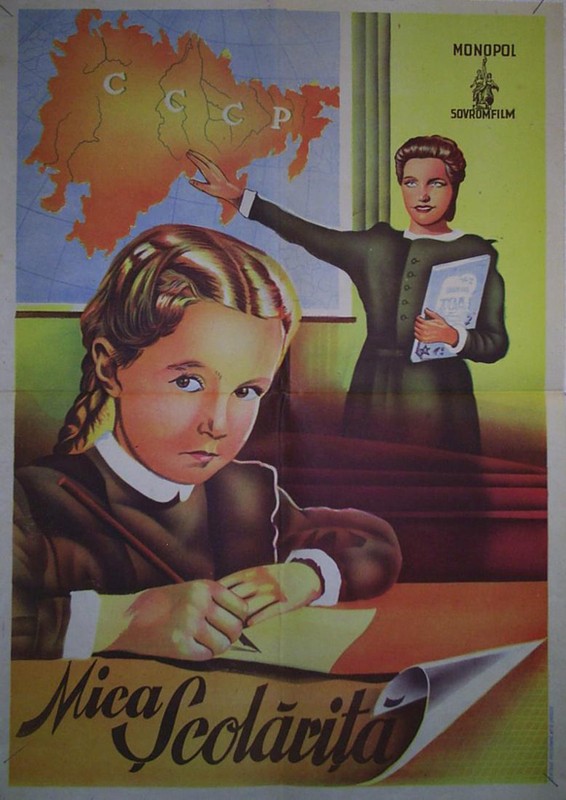 The production was truly equal with a propaganda poster, but it explained itself in a more relaxed and artistic approach. 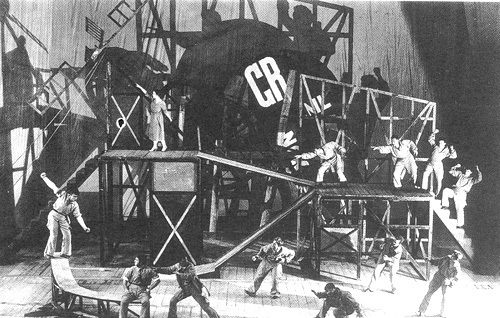 She also had a great approach for Meyerhold’s production “The Magnanimous Cuckold” with her stage design. The result was a machine moving structure, a very dynamic and pulsating spectacle that succeeded to unite in an organic way the actor and the set, and bring the public closer to the work. 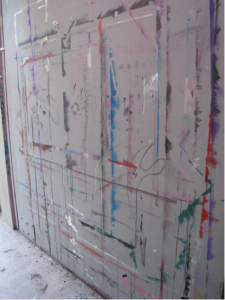 Nowadays we may refer to those kind of works as installations. Tatlin’s influences Popova in a very obvious way, since they we’re working together. In almost all her work she uses geometrical shapes to create the deep space feeling. 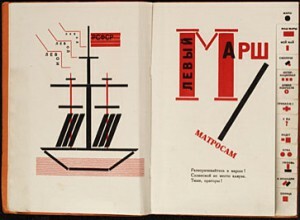 Popova’s knowledge not even responds to Malevich’s ideas but it pushes them further. 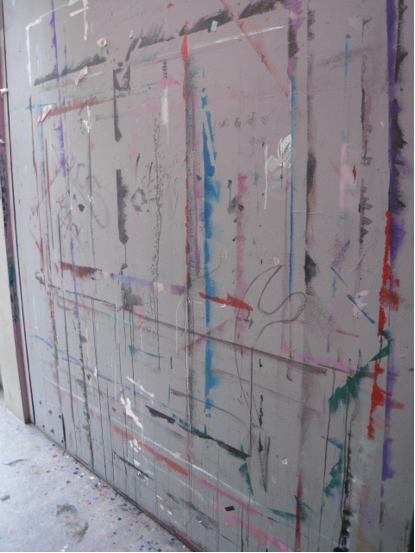 A dynamic sense of instability and movement is matched by her use of strong color. Popova’s personal approach to the Agitprop movement becomes a dangerous technique for manipulating peoples view. I think agitprop is still commonly used as an aggressive way of dealing with community problems and as a way to keep us focused on one of our “group” problems. Propaganda, is something that nowadays rules our lives with every step we take. When we see a poster or look at the news we should be aware of that the information is given to us through a filter. This way the entire population can be upset or worried about something. In my country most of the time those propaganda posters have really no sense of the viewer reaction or pleasure to interact with them. And maybe that’s a strong reason to say that I really like Popova’s work, because her work catches you in a very powerful way. exactly that segment of the population where they know it their propaganda will work. The uneducated, especially religious people without a broad view about political issues. In the communist times artist like Popova, Rodchenko or Lissitzky and others found great inspiration in this subject, and developed it with all their ideological creativity. Today the propaganda is used in a more aggressive way and sometimes it doesn’t even have an artistic approach to it. When we were at the Irma Boom: Biography in Books exhibit, my eyes caught this inconspicuous book. First I walked passed it, I did see the book but didn’t really noticed it. After a while I came back to see it and I found it really interesting. The book is really thin and also not big but not to small too. The book was opened so I couldn’t see the cover of it. I only saw it was an orange cover. It was opened at a page with a constructivistic drawing of a boat, on the other page you saw three lines of text and another drawing that is hard to describe. It looked really graphical, something I really liked! It was so minimalistic and that was what got my attention. I didn’t really wanted to know what it was about. But I found out it is a poem book. Maybe that broke the mystery of the book a little bit. I’m still thinking about putting the poems in a translatormachine.